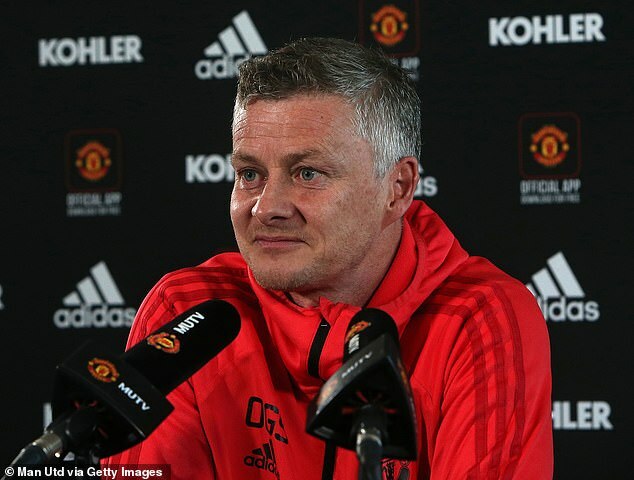 A statistics website claims Liverpool are the favourites for the Champions League but give Manchester United less than a one per cent chance of winning the tournament. Fivethirtyeight specialise in running a number of statistical models and came out with some surprising conclusions. 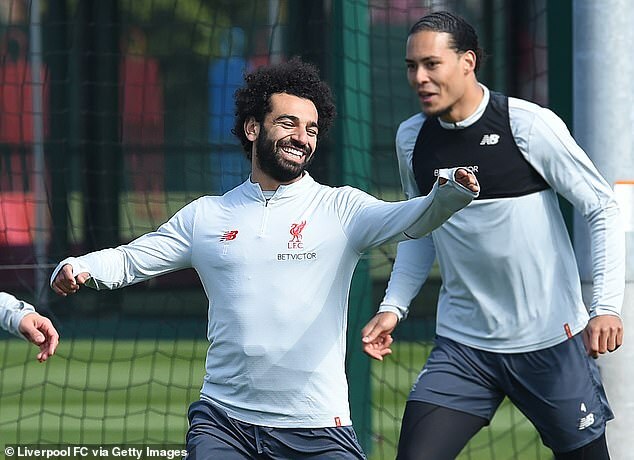 Jurgen Klopp’s side, who are 2-0 up after the quarter-final first leg against Porto, have been given a 29 per cent shot at lifting the trophy. 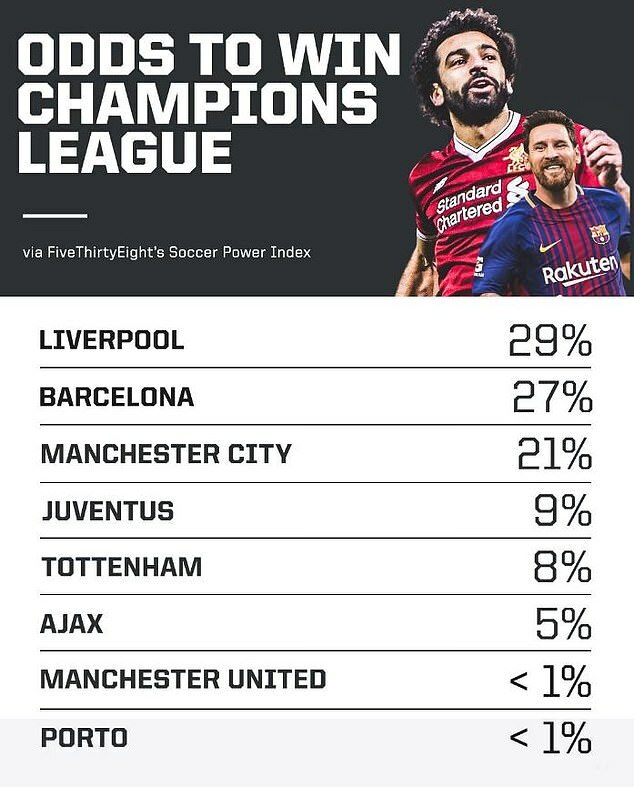 Barcelona are second favourites on 27 per cent and then Manchester City, who still have to overturn a 1-0 deficit against Tottenham, are on 21 per cent. Incredibly, Juventus and Cristiano Ronaldo are only given a nine per cent chance of winning. And the statistics website have all but ruled out Ajax and United, giving them less than one in a hundred chance. Supporters may be left scratching their heads at the verdict from the company founded by Nate Silver, the famous statistician who analyses baseball and elections. And football is a notoriously difficult game to predict and the quarter-final second leg ties could yet throw up some surprises to alter the forecast.